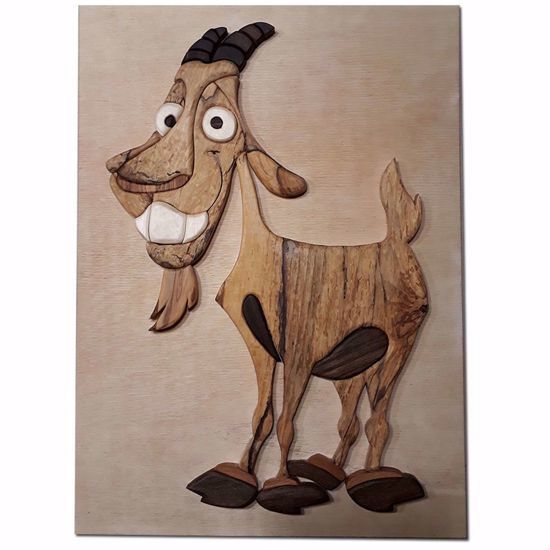 The Goat is made up of 34 separate pieces of wood. 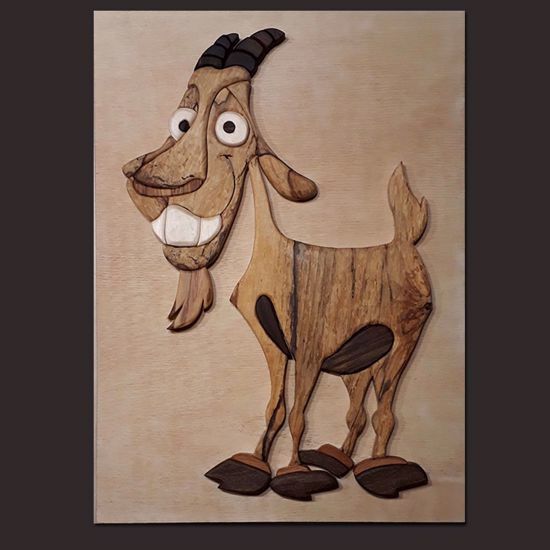 There are seven different types of wood: Walnut, Root Walnut, Spalted Linden, Poplar, Olive, Zebrano, Ovangkol. They are glued together on a Birch Plywood.